Tennessee State senior defensive end Latrelle Lee is no longer part of the Tigers’ football program after an incident from this past Saturday night’s game against Southeast Missouri. Lee, in the below clip, can be seen punching one of his coaches – strength coach T.J. Greenstone – in the face on the sideline during the contest. As a result, Lee was booted from the team and later expelled from the university by school AD Teresa Phillips. The Tigers offense was on the field at the time as Greenstone walked down the sideline telling players to move back if they were too close. Lee is seen in multiple videos hitting Greenstone twice on the side of his head. Tennessee State won the game, 23-20. 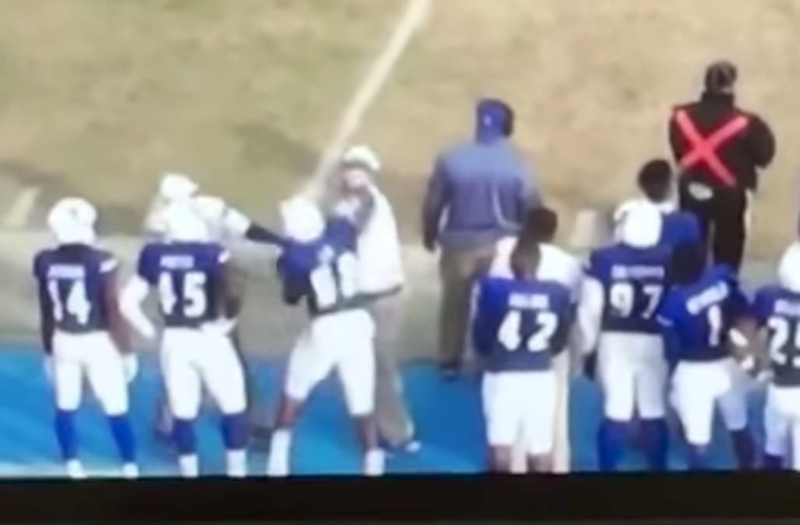 The post Tennessee State Football Player Punches Coach In Face, Gets Expelled appeared first on The Spun.